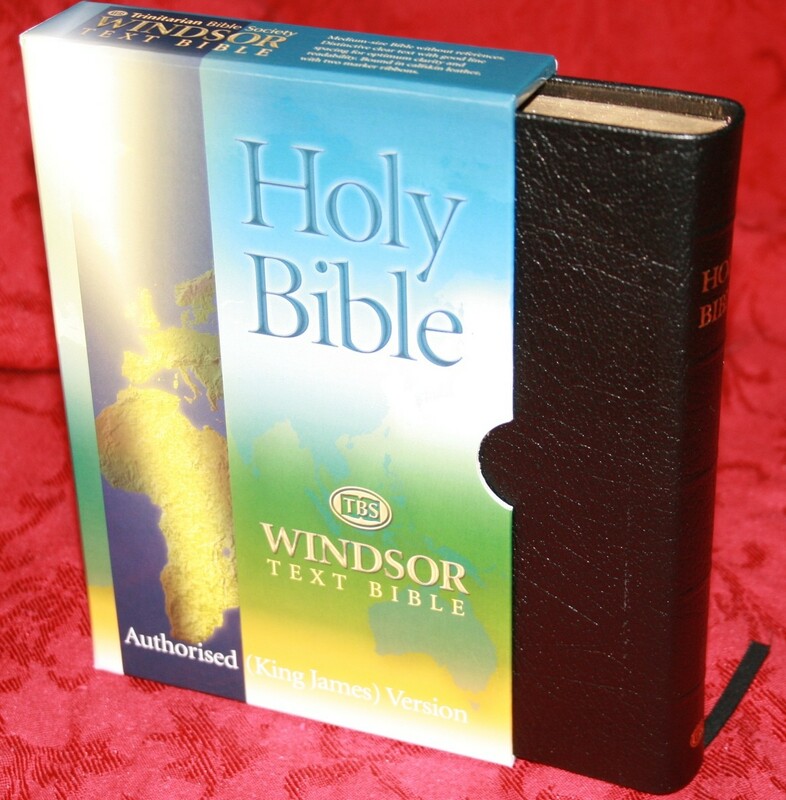 The TBS Windsor Text Bible is a text-only hand-size KJV from Trinitarian Bible Society that is very inexpensive but still provides a high level of quality. The edition I’m reviewing is calfskin with a sewn binding and a sharp text for only $35. 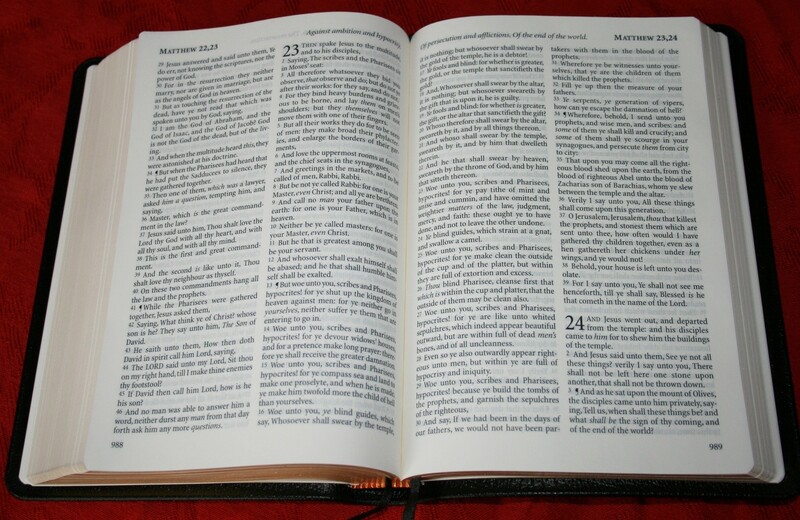 It’s a nice hand-size Bible that is great for carry and reading. The cover is black calfskin leather. It has a very pronounced grain that I love. I love the feel of the texture. The liner is vinyl. The cover is stiff. I actually like it better because it lies flat in your hand. This Bible can easily be held open with just one hand for reading. 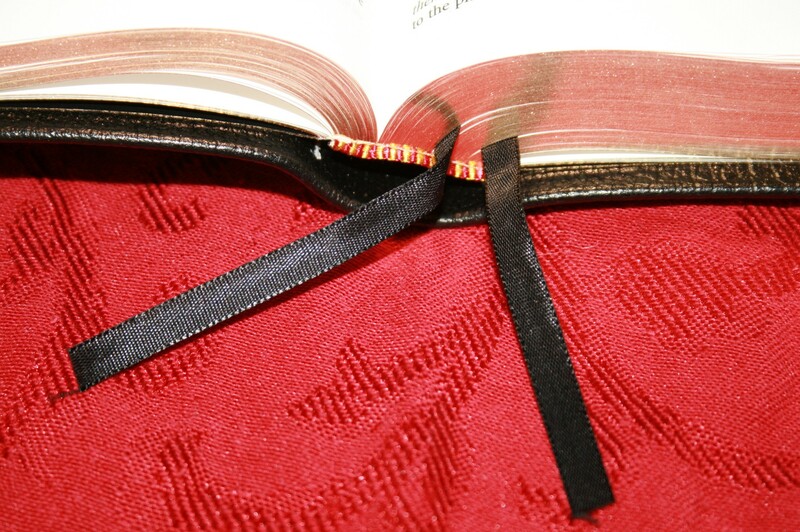 The binding is sewn so it will lie flat. 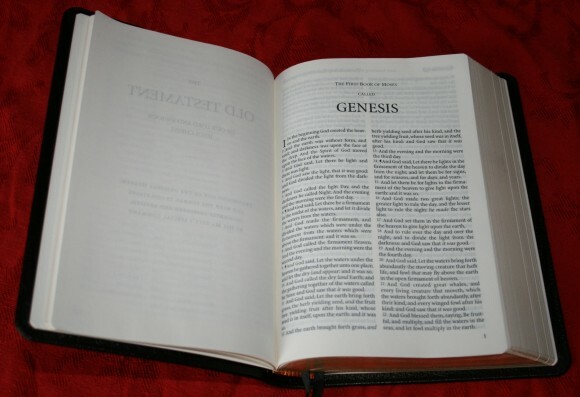 Since the cover is stiff it might have to break in a little before it will lie flat in Genesis or Revelation. Mine is breaking in just fine and will stay open in Genesis 1, just not completely flat- yet. 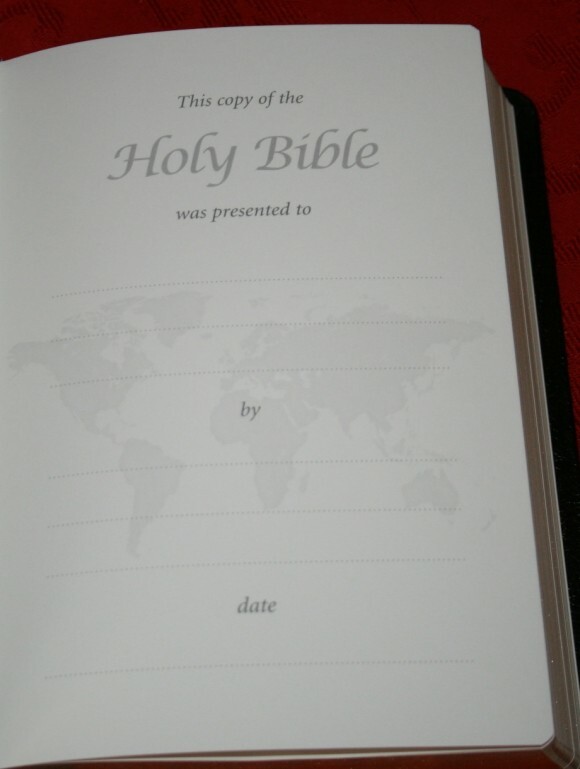 The paper is ‘Bible paper’. It’s a decent thickness and has a slight cream tone making it easier to read. 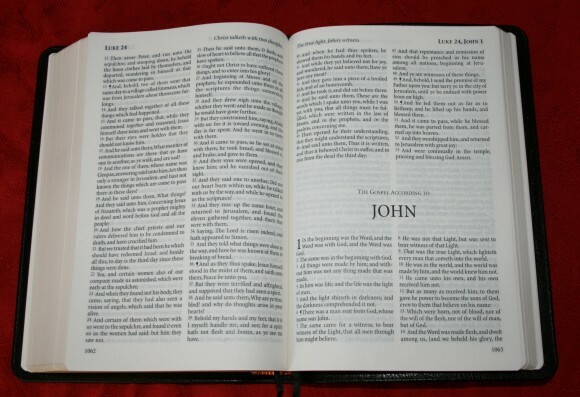 Paper with a slight cream tone is my favorite for Bibles. There is some show-through but it’s not bad at all. To my eye the font looks to be around 8-point with a generous leading. The website says 9.6 text, so I’m guessing it’s 8/9.6. The font is sharp and crisp. It is very readable. It’s about a medium darkness which for me is just right for reading. It’s consistent throughout with no fading. The text includes italics for supplied words. 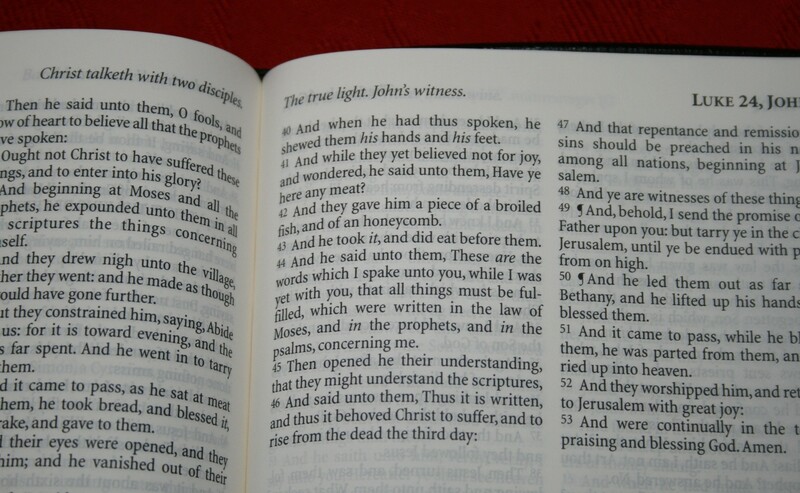 The text is in 2-column verse format. The verse numbers are slightly smaller than the text and have the same darkness as the text. 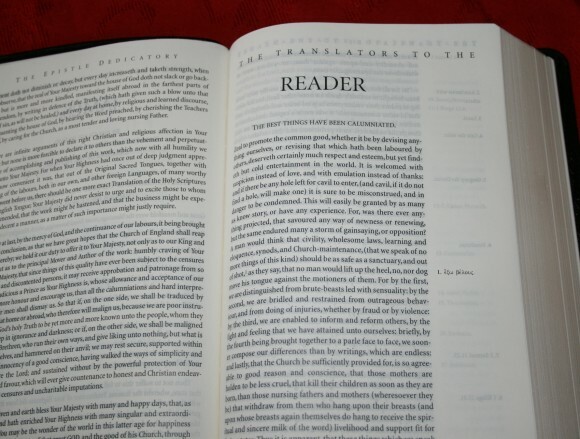 Chapter numbers are large and bold, taking up 2 lines of text. Page numbers appear at the bottom of the page. The top of the page shows the book and chapters that appear on that page on the outer margin and a summary of that page’s contents on the inner margin. Books start on the same page the previous book ends. 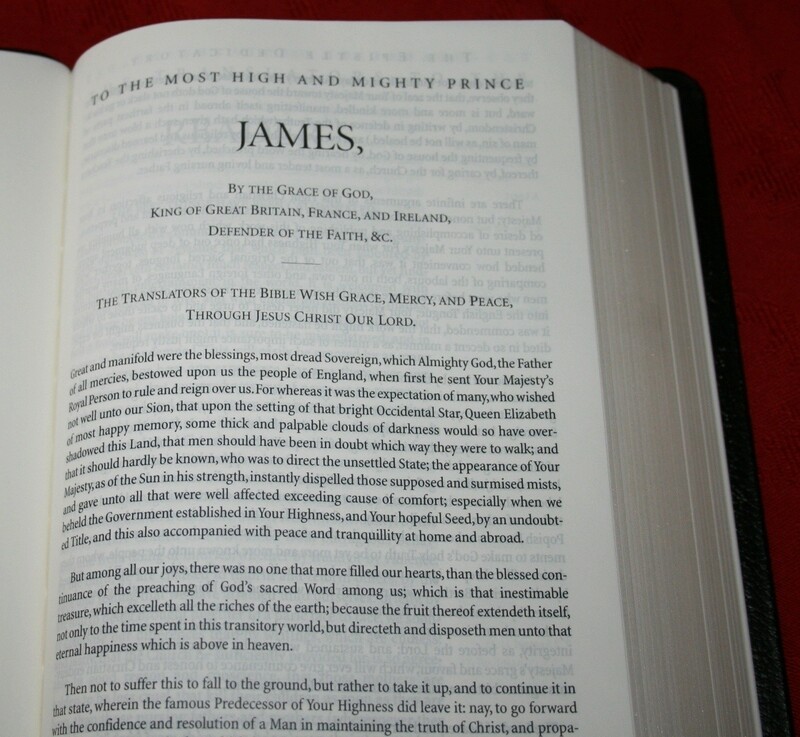 That’s common for Bible publishing, but I really like it when a book starts on a new page. 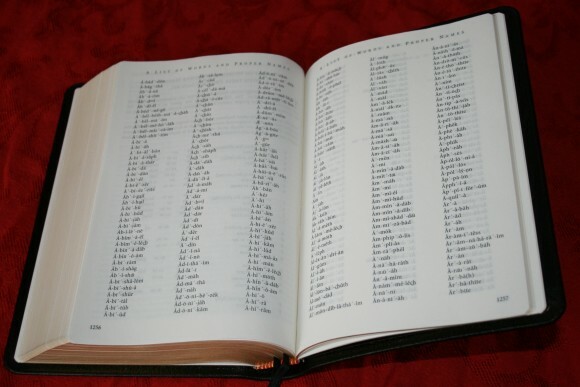 This would give you some room for your own notes. There is plenty of room between the lines of text for underlining. Rather than having a self-pronouncing text there is a list of words and names with a pronunciation guide. 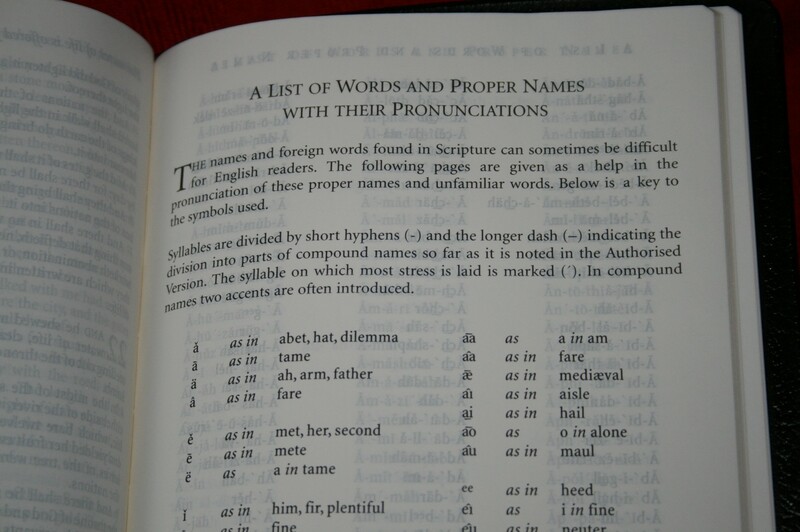 This improves readability by not including all the pronunciation marks in the text. The list is 26 pages. 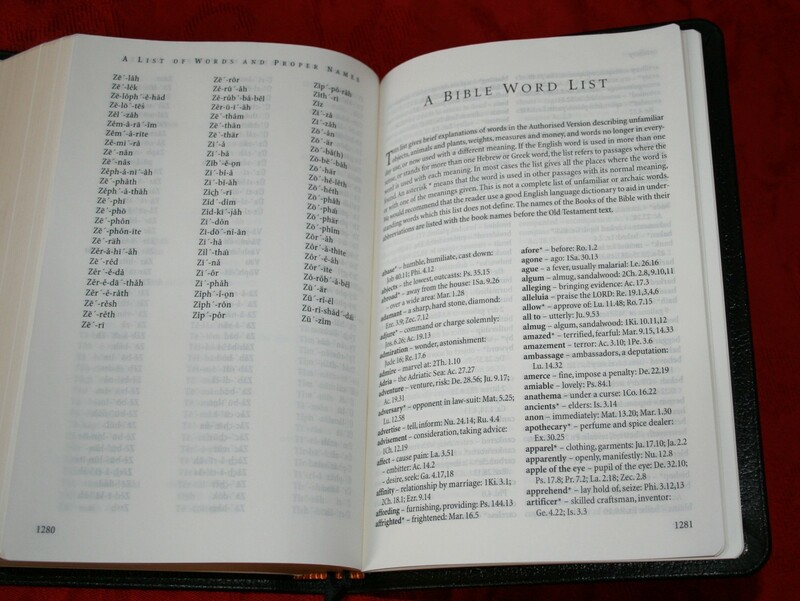 The Bible Word List has 19 pages of words from the KJV that are unfamiliar to modern readers. 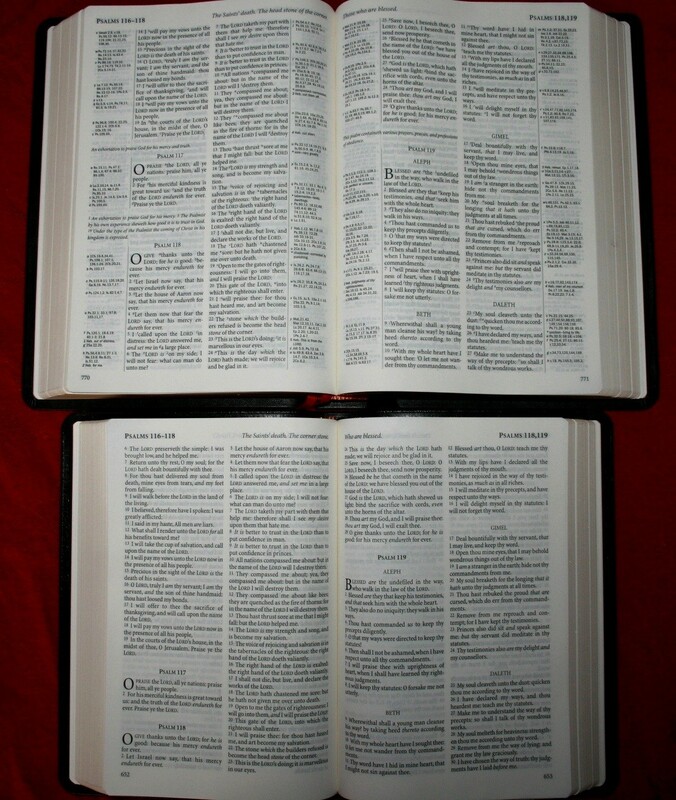 It gives the word, a brief definition, and one or more verses where the word is used. The words describe objects, animals, plants, weights, measures, money, unusual words, and words that have changed meaning. The word list is one of my favorite features of this Bible. I would like to see this become a standard in KJV publishing. The reading plan will take you through the entire Bible in two years, and Psalms and the New Testament twice. 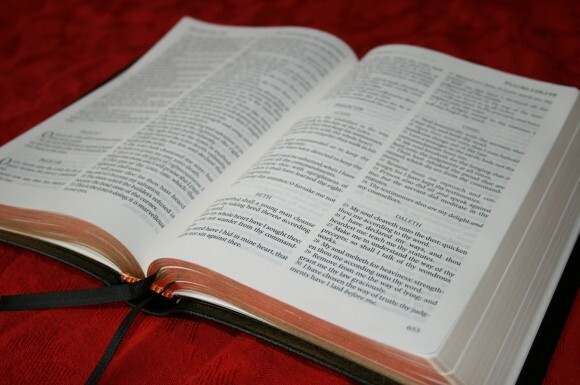 Every day there is a reading from the Old Testament and a reading from either Psalms or the New Testament. The readings from the Old Testament are in Biblical order. 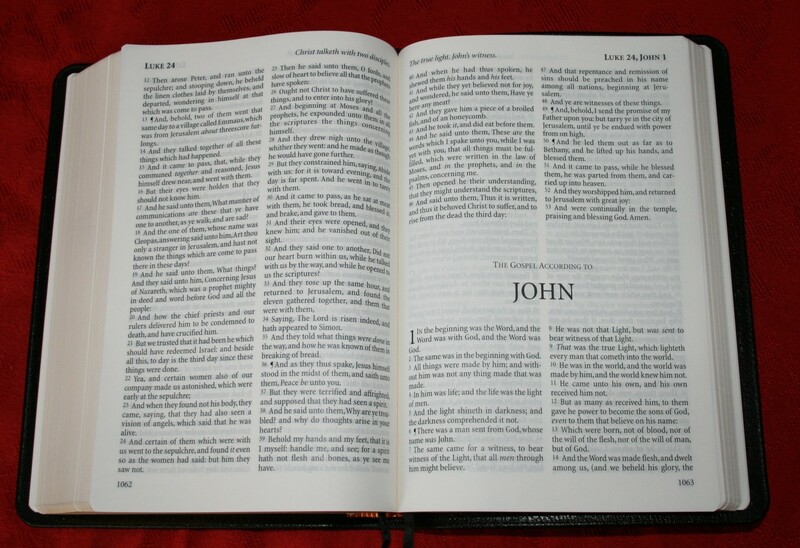 The readings from the New Testament insert Psalms between John and Acts. 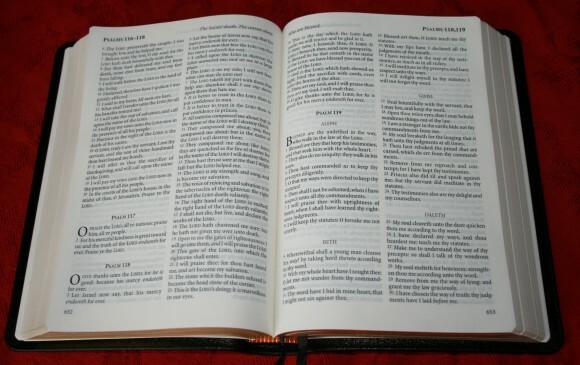 The second year starts with Acts and places Psalms after Mark. The order seems a little odd but I’m sure they have a reason for it. 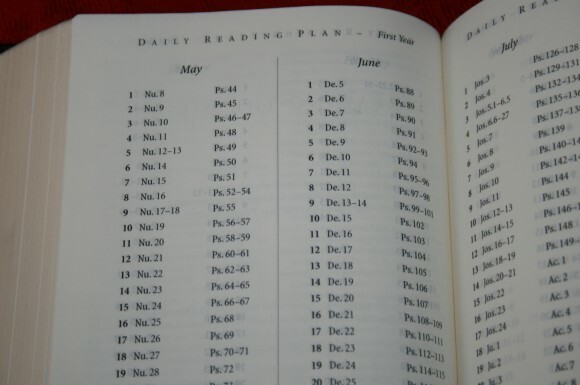 I’m more used to reading in Biblical order all the way through, but this reading plan will work just fine. There are 2 black ribbons. 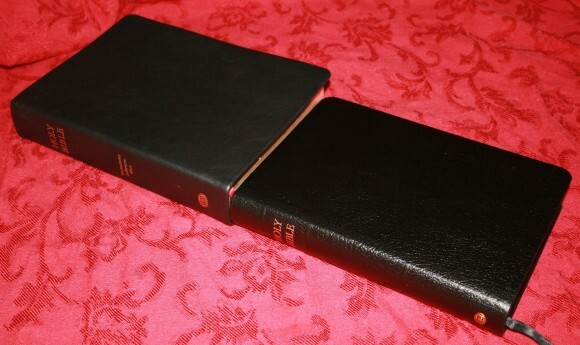 They are 2.5 inches longer than the Bible, which is more than long enough to be useful. They are .25 inches wide, which is thin but fits the size of the Bible well. 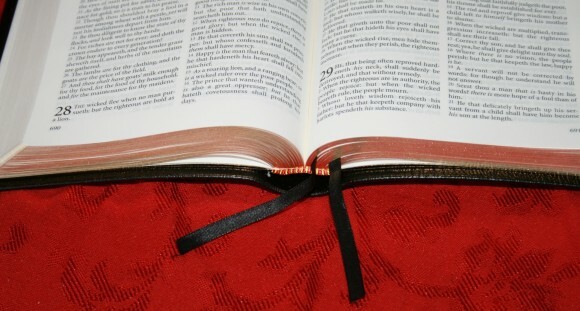 It’s nice to see two ribbons in a Bible this inexpensive- something that should be standard in Bible publishing. 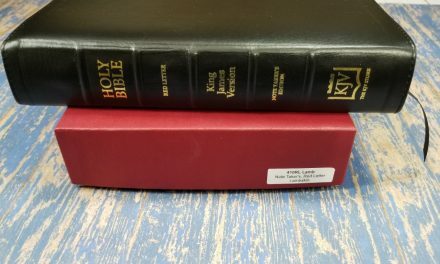 The Epistle Dedicatory and Translators to the Reader are two documents that should be included in every KJV printed, but many publishers today often ignore the Translators to the Reader and some do not include the Epistle Dedicatory. The TBS Windsor has both. I’m especially impressed and appreciative of the Translators to the Reader. This edition includes 134 footnotes in the margin. 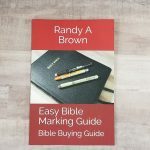 The footnotes include Scripture references, historical references, and Greek references which include Greek fonts. 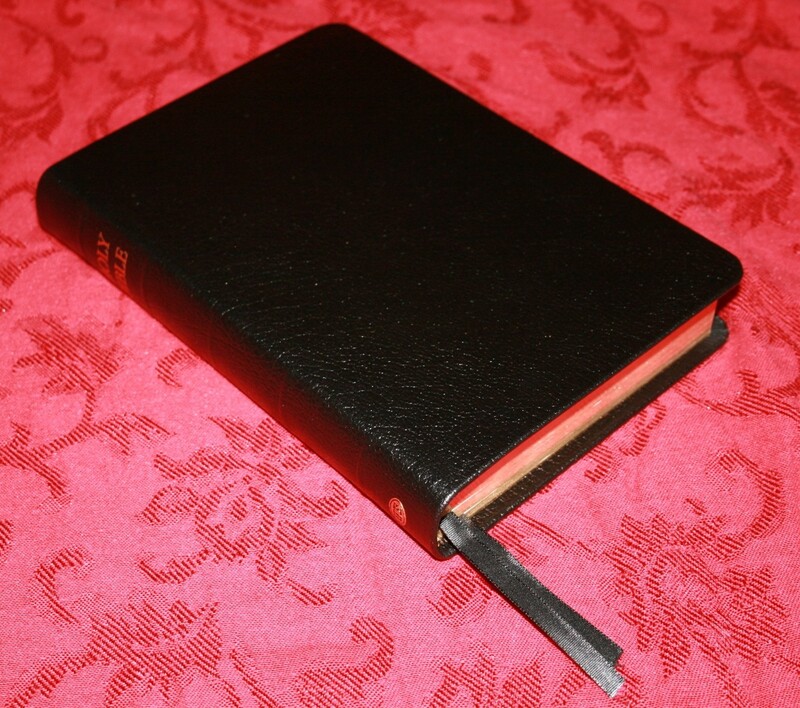 I can’t believe the features you get in the Windsor for $35 – calfskin leather, sewn binding, Bible paper, beautiful text, printed and bound in the Netherlands by Jongbloed, pronunciation guide, glossary, a reading plan, and two ribbons! All this in a hand-size Bible that is a joy to hold and read. 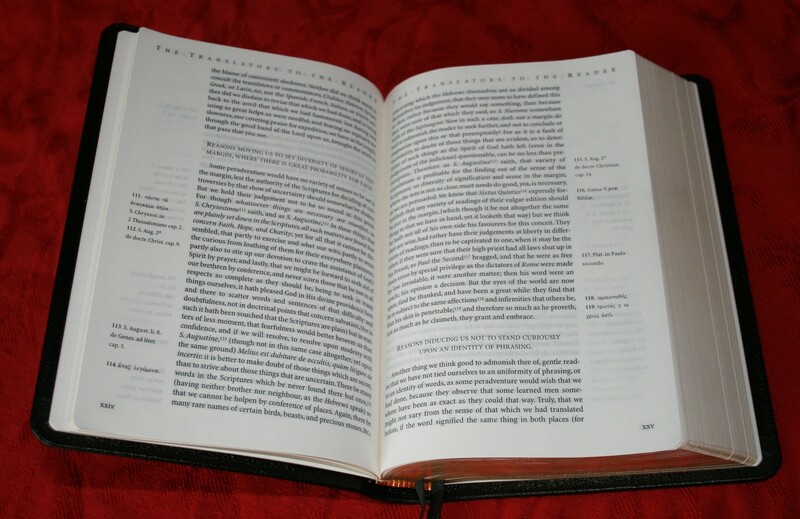 The cream tone to the paper and clean text with the sharp, 8-point font with medium darkness makes this Bible very readable. 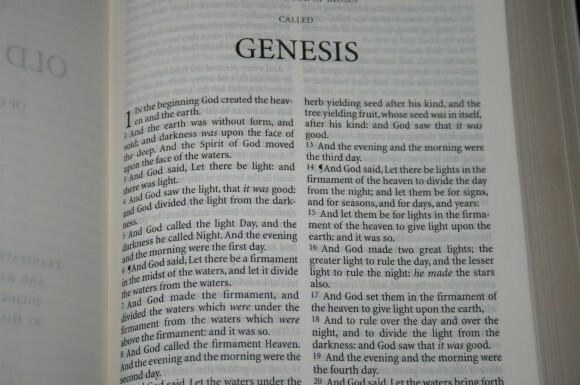 It is now my favorite reading Bible. I highly recommend the TBS Windsor Text Bible in calfskin for both reading and carry. 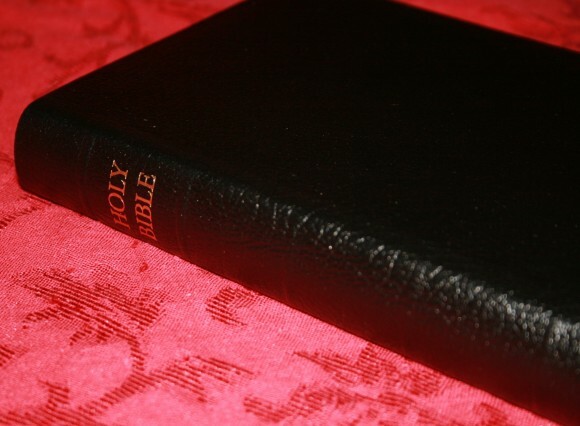 TBS provided this Bible free for review. I was not required to give a positive review- only an honest review. Randy you make it difficult for one to add to your comprehensive review!!! I concur in all respects. I purchased by first one back last November, and four more subsequently this year. All exhibit the same uniform quality with the textblock dated 11/11 of 23M printings. 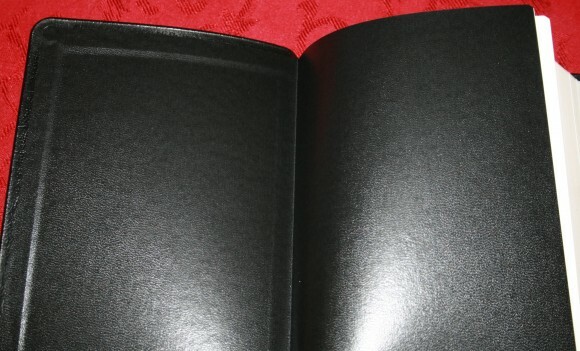 The printing is impeccable, absolutely impeccable in sharpness, density, uniformity; and there is NO gutter cockling in my examples, NO page creases, NO machinery roll impressions as in my Allan Clarendon #5 ($160) textblock currently printed also my Jongbloed. Figure that one out! 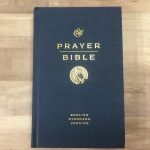 I paid $29.75 each from Evangelical Bible and that is still the current price at this time. Somewhere I came across a comment in which was stated their Windsor was not holding up that well. Perhaps it was one not made by Jongbloed? According to J. Mark Bertrand in his March 2009 review, his was made in Belarus. 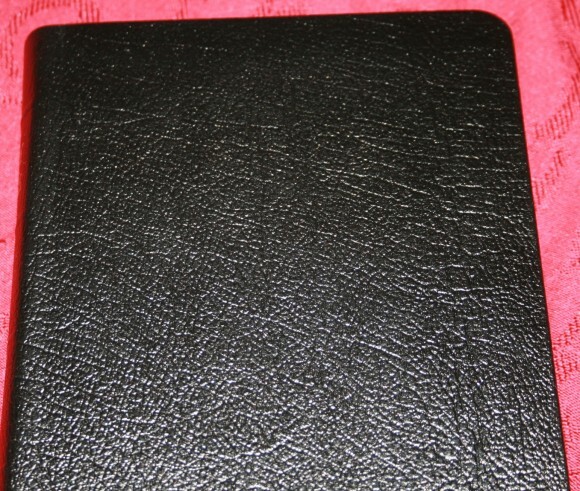 My samples of other bibles offered by TBS produced in Belarus leave much to be desired. Much. It would be nice to see this textblock available in a premium edge lined offering. From what I’ve seen of some from critical viewing of available pictures of some acclaimed rebindings leaves me slightly underwhelmed. The variety of skins in themselves are very attractive, but will forgo that route for now. Considered a rebinding for my old Pitt Minion, but for essentially the same cost, can buy a new one and although it has the new paragraph style it still retains the double column layout plus has some added extras. But have digressed. Worth noting for the Windsor edition is that TBS also provides it in other options. Three hardbacks in blue, black, red, one with metrical psalms – calfskin and hardback, two with dual colored Vivella covers in basic blue and brown, one vinyl covered, zippered, etc. Quite a large variety offered in this edition. Jongbloed really sets the bar in the quality of textblocks, covering all aspects?, in the Westminster and Windsor. 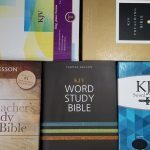 In that context, it rivals and exceeds those high end types in the KJV versions costing up to nearly seven times as much. I bought the Windsor and the Clarion at the same time. I ended up sending two Clarions back due to defects. I bought the Windsor as a cheap backup bible, but I really love it and the quality is great. 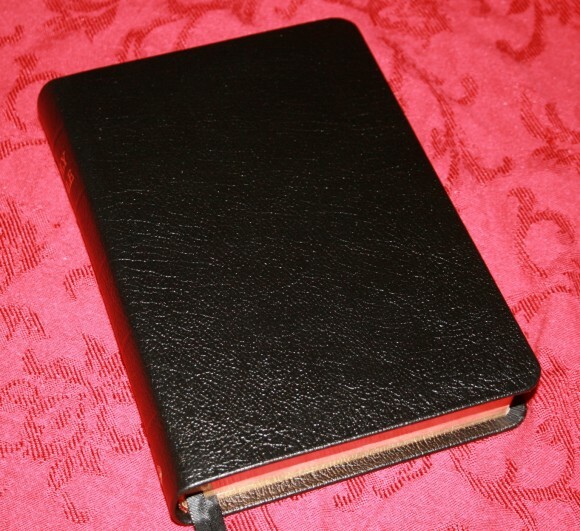 It is a great little bible for $35. I’m pretty happy with my Windsor now, so I’m not sure that I will even buy another Clarion (though I do like the paragraph format). For a perhaps interesting comparison, I received a copy of the TBS Windsor in the two tone brown Vivella. The cover construction is excellent and attractive. 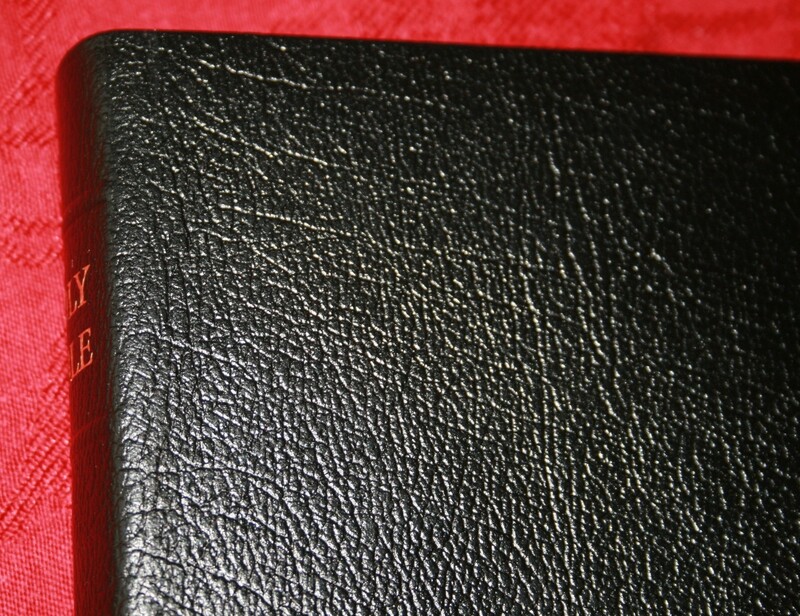 The text on the cover and spine is sharply and deeply embossed. Very well done. The imitation leather has a nice feel. This one was printed and bound in Belarus. This one was dated 50M/09/07. 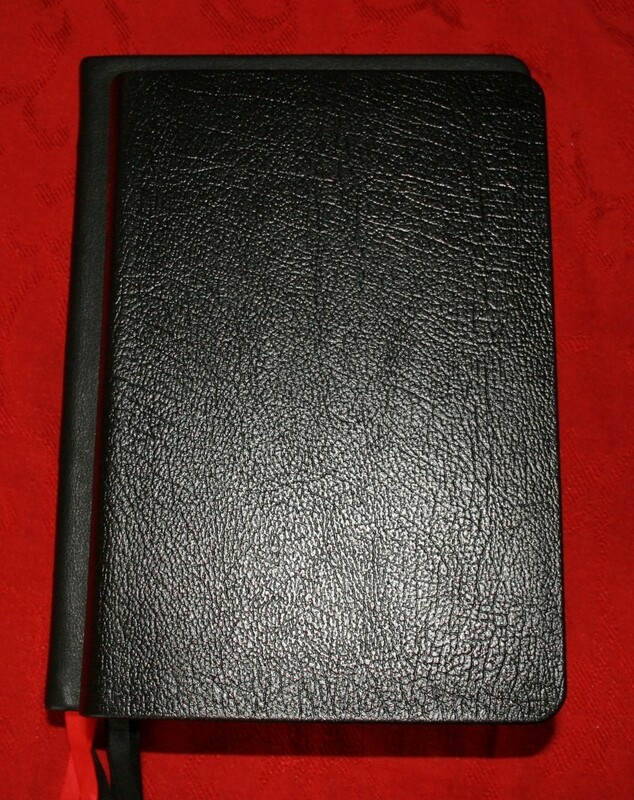 Overall it is a decently made textblock along with its attachment to the cover. However, one could probably raise two dozen attributes for comparison and the Belarus entry is the weaker example compared to the one made by Jongbloed in every category. 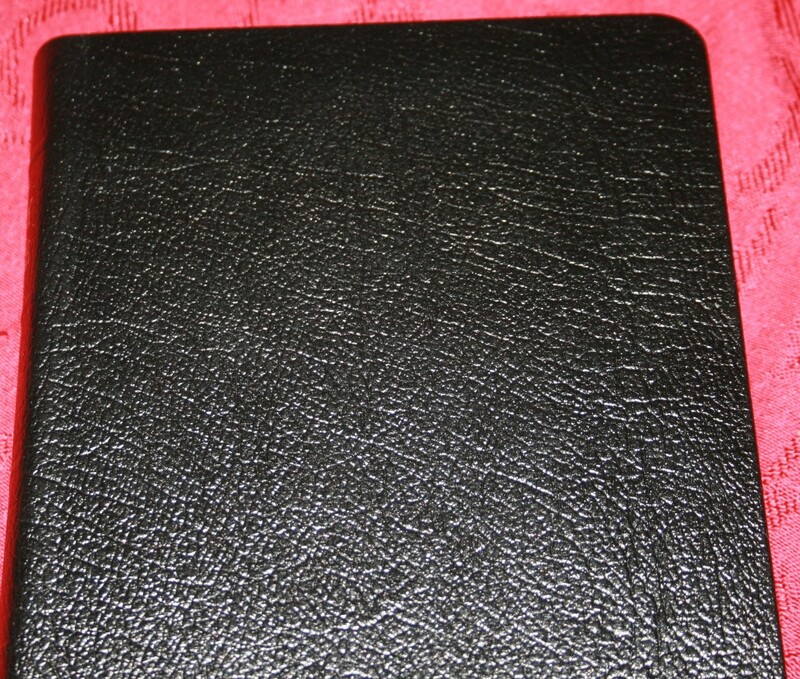 Ghosting is about the same except is some cases the calfskin Jongbloed textblock is slightly better. The difference is quite minor. The Belarus version has white bible paper and not the cream tint as in the one by Jongbloed. 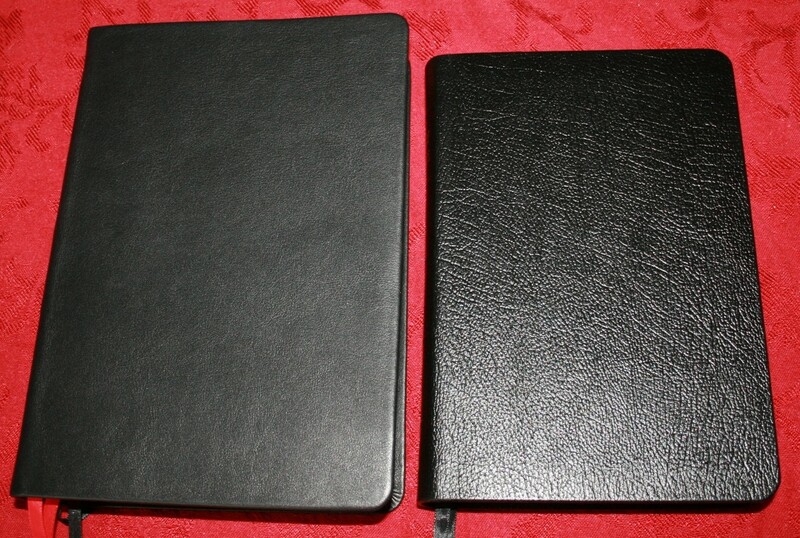 Its not a bad production by any stretch, but with the discounted price at which the calfskin version is currently available and the distinctly better quality and workmanship aside from the choice of cover material, I consider the Jongbloed entry the smart buy. 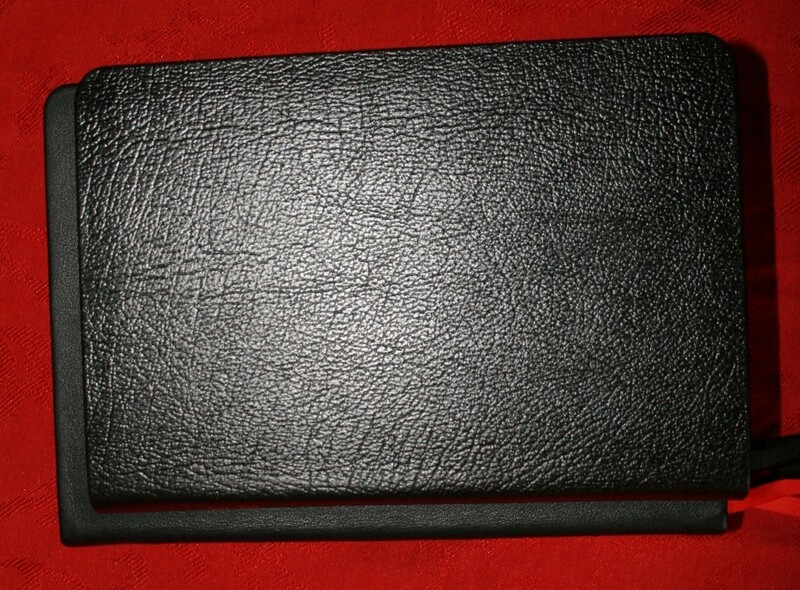 I just received my calfskin Windsor Text with Metrical Psalms from Evangelical Bible and I’m very pleased with it. 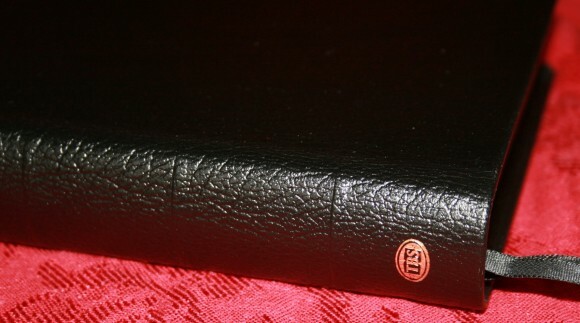 Mine was printed and bound by Jongbloed in the Netherlands, and has white end papers. The paper is a pale cream color and has almost no ghosting, just beautiful. The type size is a nice 9.6 pt. with generous leading. 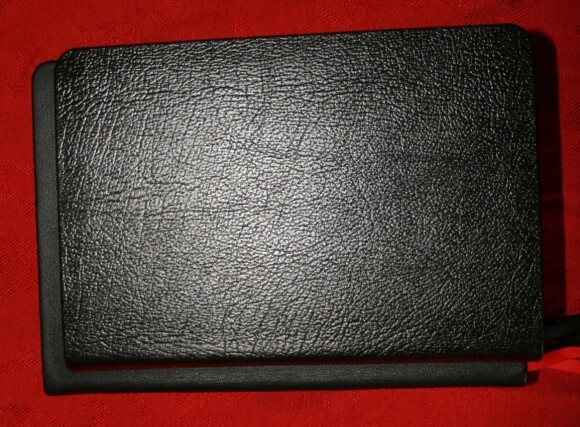 As shown in your photos, the calfskin is rather firm but for the price is very good quality. I love the smaller (8″ x 5.5″) footprint. 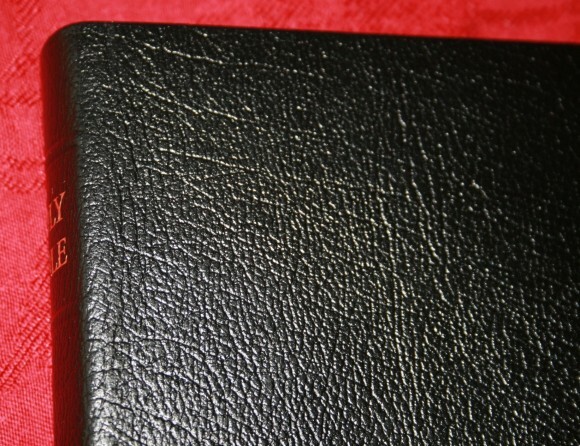 This is a great Bible and an excellent value. Thanks for your helpful review.